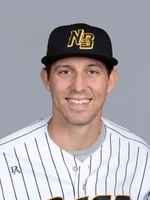 Christian Friedrich heads to New Britain for his 11th year of professional baseball and first in the Atlantic League. The former big leaguer last pitched in 2017 as a member of the San Diego Padres organization, splitting time between Triple-A El Paso, Double-A San Antonio, and Single-A Lake Elsinore. The 31-year-old was originally drafted by the Colorado Rockies in the first round (25th overall) of the 2008 MLB amateur draft. After five impressive seasons with the Rockies organization, he made his Major League debut with Colorado in 2012 at the age of 24. The lefthander would spend three campaigns in the big leagues with the Rockies, before heading over to the Padres in 2016, which would be his final season in The Show. In four Major League seasons, he has appeared in 124 games (42 starts) and collected 10 wins with 246 strikeouts in 296.2 innings of work. Over the course of 122 career minor league appearances (108 starts), Christian has recorded 21 wins with a 4.61 ERA and 553 strikeouts in 562.0 innings pitched.